Last week was an exciting time for Tableau and Alteryx users. In Las Vegas here in the States, Alteryx was having their Inspire 2017 Conference. On the other side of the pond, Tableau was having their Tableau Conference on Tour in London. Sadly, I was not at either of them. However, I followed both religiously on Twitter. 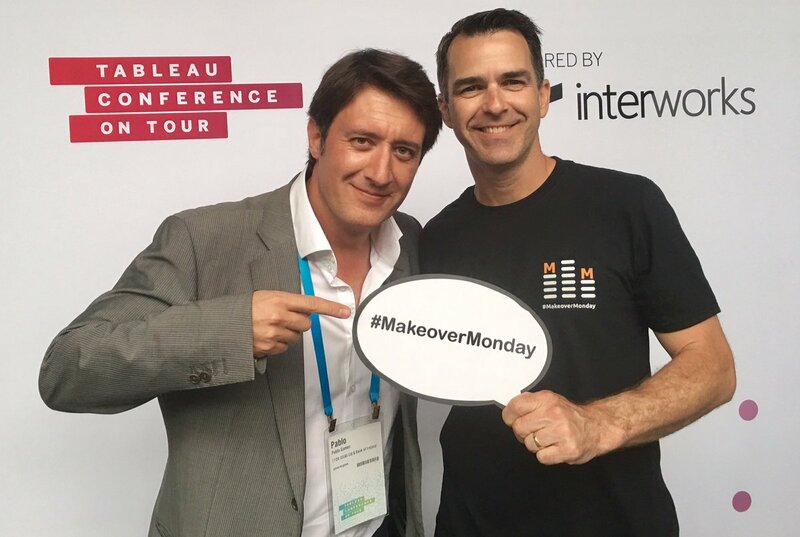 Below are some interesting photos that were posted at the Tableau Conference on Tour. I tried to add a few comments to frame the photos I have selected. It was a great conference. Too bad I wasn’t there. Comment: I really would have liked to see Clive Benford’s presentation in person. I really liked his insights on Jaguar Land Rover’s approach to analytics. If anyone has a copy of the presentation you can send me, I would really appreciate it. Joe Bullock’s presentation on Breaking Down Silos and Improving Data Governance. Joe is with the Medicial Defence Union. Miguel Cisneros great Tableau dataviz was showcased at the conference. Combating Fake News: Keynote Speaker David Speigelhalter, Professor for the Understanding of Risk at the University of Cambridge. Incredible Tableau data visualizations in the 2017 DataViz Gallery. I’m a big fan of Ryan Sleeper. Watch for his upcoming book! Congratulations to David Pires for winning the Iron Viz. An oldie but a goodie. Do you know the answer? My goal is to provide a blog post of an interview with Andy Kriebel in the near future. Watch for it soon. I hope to join the fun in Las Vegas in October!